HomeArticlesCorruption,Scam,Mass Coppy in exam conducting body. 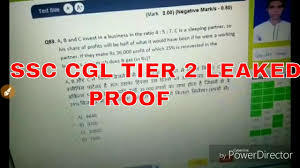 It is very important issue in India of scam, cheating, mass copy in exam conducting bodies. A lot of students protesting against it throughout country and tries to highlight this issue from social media, protest and other ways. Is it government exam conducting body conduct Transparent exam ? Government exam job, public sector exam jobs are conducted by various exam conducting body like UPSC, State Civil services, SSC, IBPS, Mahapariksha portal. Some exam conducting bodies have mentioned in constitution but the problem is that they have history of biased selection process till 2005. Since the RTI act came a little bit transparency started. If we take recent 2018 years example what we see that exams like SSC, Mahapariksha,UPPSC, MPSC like exam conducting body found at fault. Yes it is corruption, scam in exam. What is the matter to take doubt ? Historically biggest protest scam corruption, cheating amongst any exam took place in case of SSC CGL exam in 2018 that’s why the exam process became very slow, it takes minimum 2 years and maximum 5 years to announce exam result. Another example in Maharashtra state where MPSC takes exams of class 1 & 2 level exam last year it was found that many dummy candidates gives exam instead of real candidates and passed them. To disguise examiners they were uploading photos by mixing their faces through Photoshop software. Second example in Maharashtra is current issue of Mahapariksha portal it is private exam conducting body. It is just only 1 year that taking exams for 3&4 level exams but it also lost it’s credibility and students from Maharashtra protesting against it. If we talk about other states their is also similar case. 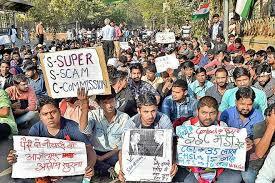 A lot of students protesting against scam, cheating in exam conducting body. Why politicians are reluctant in this matter ? To take fair exam is responsibility of respective authority but India is suffered by corruption. In any way sitting person in chair wants to earn money and for that they want scapegoat. 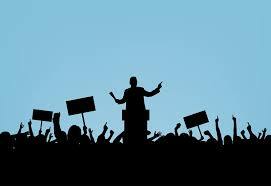 The best scapegoat in everyone’s eye is unemployed educated candidates. Politicians are brain behind this scam, corruption, cheating in exam without their support such big can’t occur. They may have source of income who are involved in this matter. Corruption, scam, cheating in exam only possible to give money to any authority. Such process can only give birth to corruption because someone has invested his/hers money for the particular post. 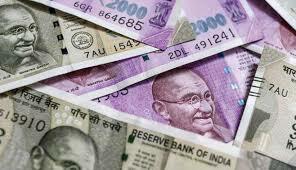 If he comes on the post first he/she wants to withdraw money through corruption thats the mentality person keeps. Ultimately it is loss of country & profit of individual. So the wealfare scheme or Yojna will not be successful.